SECOR (Sequential Collation of Range) was a series of small United States Army geodetic satellites launched in the 1960s to determine the precise location of points on Earth's surface (notably islands in the Pacific). 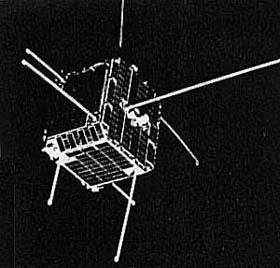 Each SECOR satellite was linked to four ground stations – three at geographical points where the coordinates had been accurately surveyed and a fourth at the location whose coordinates were to be to be pinpointed. Radio waves were sent from the ground stations to the satellite and returned by a transponder. The position of the satellite at any time was fixed by the measured ranges from the three known stations. Using these precisely established positions as a base, ranges from the satellite to the unknown station were used to compute the position of the unknown station. SECOR allowed continents and islands to be brought within the same geodetic global grid. It was a predecessor to navigational satellite systems such as Timation and, more recently, the Navstar-GPS (Global Positioning System).